Age-related macular degeneration is the most common cause of blindness today — but by reducing your risk factors and starting treatment early if you’re diagnosed, you can greatly delay the progression of the disease.  At Ironwood Eye Care in Scottsdale, Arizona, the skilled eye care team can help you through age-related macular degeneration so you can enjoy the best eyesight possible, for as long as possible. Book now using the online tool or by calling the office today. Age-related macular degeneration is the most common reason for vision loss in American adults 60 and up. This disease damages the macula, the area of your eye that controls acuity. Over time, age-related macular degeneration diminishes your central vision. There are two kinds of age-related macular degeneration, dry and wet. With dry macular degeneration, your central vision decrease is so gradual that you may not notice it until symptoms grow severe. What are the symptoms of wet macular degeneration? Wet macular degeneration is a more severe type of macular degeneration. It's connected to abnormal blood vessel leakage. The symptoms are the same as dry macular degeneration symptoms, in addition to a prominent blurry or blank spot in your visual field and a haze over your general vision. Generally, wet macular degeneration causes more pronounced symptoms overall, and the symptoms usually have a sudden onset. Your Ironwood Eye Care optometrist customizes your treatment based on your symptoms. Although there's not a cure at this time, your optometrist can help you manage symptoms and minimize damage to preserve your vision. For dry macular degeneration, low vision rehabilitation may help you cope with your vision changes effectively. If you have advanced dry macular degeneration, your optometrist may recommend surgery in some cases. An implanted telescopic lens can enhance vision dramatically, but it has a limited viewing field. For wet macular degeneration, treatment usually focuses on controlling the abnormal blood vessels within the eyes. Common treatments can include injectable medications like Avastin®, Lucentis®, and Eylea®, photodynamic therapy, or laser therapy. Your optometrist may also suggest specific supplements and vitamins that may delay the progression of macular degeneration. Supplements for age-related macular degeneration include vitamin C, vitamin E, lutein, zinc, zeaxanthin, and copper. Use the online appointment tool or call Ironwood Eye Care to book your eye exam today. Please click here to read more about macular degeneration!